Learn more about these night flyers and what you can do to help sustain their populations. 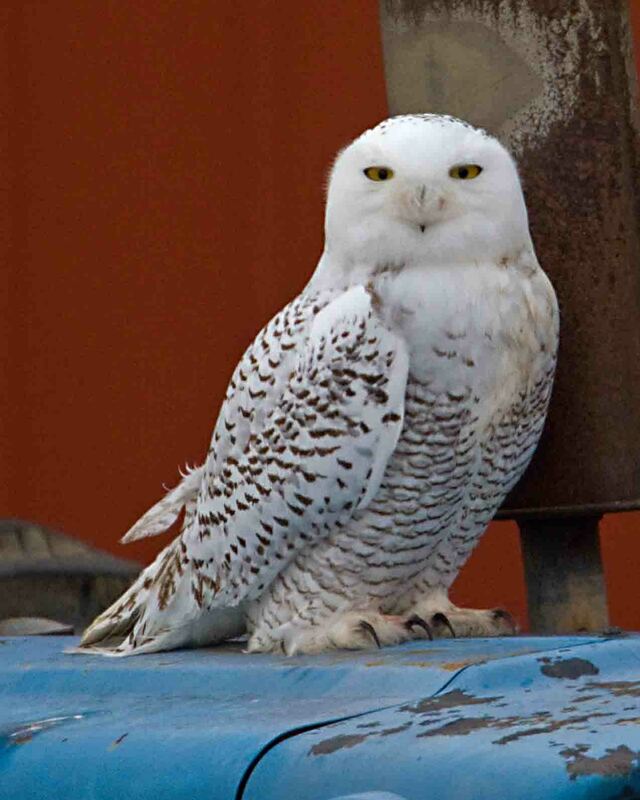 Report your Snowy Owl (SNOW) sightings here. It appears that this winter will be another record year for Snowy Owls moving south. Staff naturalists would again like to track any that are seen in Calvert County with the hopes of getting the owls banded or possibly included in the satellite tracking program. Contact Andy Brown at brownaj@co.cal.md.us if you see a snowy owl. 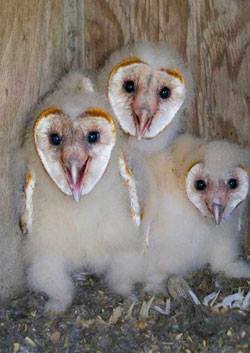 For the first time in 17 years, a family of barn owls has settled in a nest box placed by the Calvert County Barn Owl Nest Box Project. The Calvert County Natural Resources Division and the Southern Maryland Audubon Society are partners in the project to increase the numbers of barn owls in the county. While barn owls are found on every continent except Antarctica, their numbers have declined in the eastern U.S. Their primary prey is the meadow vole that thrives in fallow fields. The barn owl project began in the mid-1990s and took on new life in 2013 when county staff, Eagle Scouts and volunteers repaired existing boxes and erected new ones. There is a need for additional nest box locations and suitable barn owl habitat. Those interested in helping can contact Andy Brown at the Battle Creek Cypress Swamp Nature Center at 410-535-5327 or email brownaj@co.cal.md.us.